Tanzanian journalists and media personnel who excelled in the Biofortification excellence in journalism competition have been honored. The colorful award ceremony that aimed to celebrate and recognize journalists who report and create awareness on biofortification took place during the Agribusiness Expo event on Friday 20th July 2018 at the Selian Agricultural Research Institute (SARI) in Arusha, Tanzania. The ceremony was graced by the Minister of Agriculture Dr. Charles Tizeba, who was the guest of honor. The media campaign was launched in March 2018 by the Building Nutritious Food Baskets Project (BNFB) under the International Potato Center (CIP); in collaboration with the Government of Tanzania and the Tanzania Agricultural Journalists Forum (TAJF). This campaign and media engagement in general has greatly contributed to BNFB’s advocacy efforts and scaling up of biofortified crops in Tanzania. In addition to awareness creation and educating the public on the benefits of biofortified crops and foods, it has played a key role in highlighting the problem of hidden hunger and its impact in Tanzania as well as sensitizing policy makers to take appropriate action in creating an enabling environment for biofortification. The participants represented various media categories including Television, radio and print media, with the winner, first and second runners up for each category receiving a prize and a certificate of recognition. A total of 25 journalists participated in the competition with 47 entries – 25 for print media, 20 radio stations and two television stations across Tanzania. Under the radio category the winners were Maria Filbert from Radio Kwizera, 1st runner up was Jorida Faustine from Fadeco Radio and 2nd runner up was Vumilia Kondo from Abood Radio. Under the TV category the winner was Calvin Edward from Sokoine University Television and 1st runner up was Dino Donald Mgunda from Star TV. Under the print media the winner was Gerald Kitabu from The Guardian, 1st runner up was Hawa Bihoga from Deutchewelle and the 2nd runner up was Elias Msuya from Mwananchi. 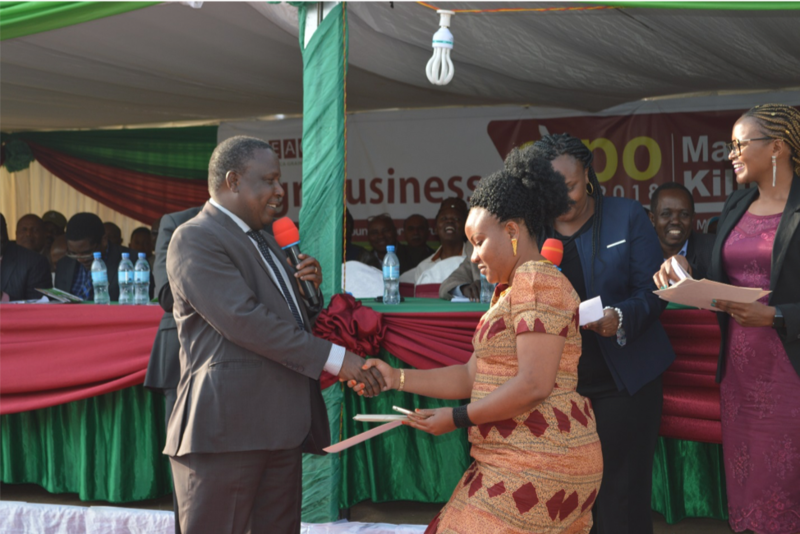 Maria Filbert from Radio Kwizera scooped the overall price winner. Dr. Tizeba urged researchers and research institutions to ensure that farmers become more aware and can access new innovative technologies such as nutritious staple crops that are biofortified for more impact especially relating to improving the nutritional status of vulnerable populations. He further urged communication officers and media personnel to work together to translate research outputs into real-world impact through effective communication and awareness creation. Speaking to the journalists prior to the award ceremony, one of the judges Dr. George Mwita of Tanzania Media Foundation urged the journalists to continue embracing the role of media advocacy and become committed champions and agents of change for biofortification in Tanzania. Dr. Mwita further urged them to conduct effective research so that they can report on impactful stories that call for action and that can speak to the hearts and minds of the target audience including the government and policy makers. The BNFB project seeks to reduce hidden hunger by catalyzing sustainable investment for the production and utilization of biofortified crops (Orange-fleshed sweetpotato (OFSP); vitamin A (Orange maize, vitamin A (Orange) cassava and high iron/zin beans.